When it comes to food, self-control has amazing benefits. 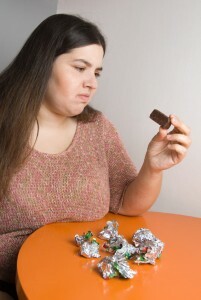 But there is such a thing as obsessively trying to control one’s appetite, which is at the root of binge eating. The scene isn’t one of joy and liberation! It is devastating to watch the people slip into absolute lack of concern for anyone, including themselves. Some will simply get up in the middle of the night, not having eaten for days, ransacking kitchen pantries and cabinets. They don’t care which food belongs to whom, or what things they’re eating, they’re just going to eat. Although the pleasure is great, it isn’t worth the toll. Permanent damage to both the mind and body are inevitable. Stomach ulcers are common. So is sexual dysfunction, respiratory issues, low levels of focus. Ask yourself: Is it necessarily desirable to eat in binges, putting yourself through guilt and shame, in order to feel confident? No, I assure you: Clinical Hypnosis shows you to gain the same pleasure without having to risk your sanity each time. You learn self-management. No one, as far as I know, can survive happily on binges. If you’re interested in a balanced middle ground of dieting, call Dr. Gluck’s office in NYC at (212) 599-3195. This entry was posted in addiction nyc, eating disorders, weight control hypnosis, Weight Loss Hypnosis and tagged binge eating, eating disorders, food addiction, weight control, weight loss, weightloss by Dr. Errol Gluck. Bookmark the permalink.